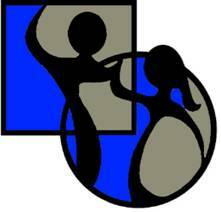 Square & Round Dance Club of the Central Okanagan. loads of fun on the dance floor! (These are split into 2 parts -- First 12 lessons, Sept.-Dec.
your fitness level (burn 320 calories/hr. ), and relieving stress. For many, it becomes a source of lifetime fun! You’ve got to try this great social recreation! with a partner, or bring family & friends! with the accomplished dancers in the club. be sure to read the story behind it.
? F A Q ? Is square dancing really such good exercise? but it keeps the mind active and alert as well. will be burning up to 320 calories an hour! What sorts of people are square dancers? young adults, Boomers & senior citizens! because the calls are always done in English! what’s the dress code now? The traditional attire has certainly been modernized. New dancers are urged to just dress comfortably. full skirt with a crinoline. to protect our dance floors. I don't have a partner ~ will that be a problem? and do their best to keep them dancing. what has traditionally been the man’s part. assured of a variety of dance partners. 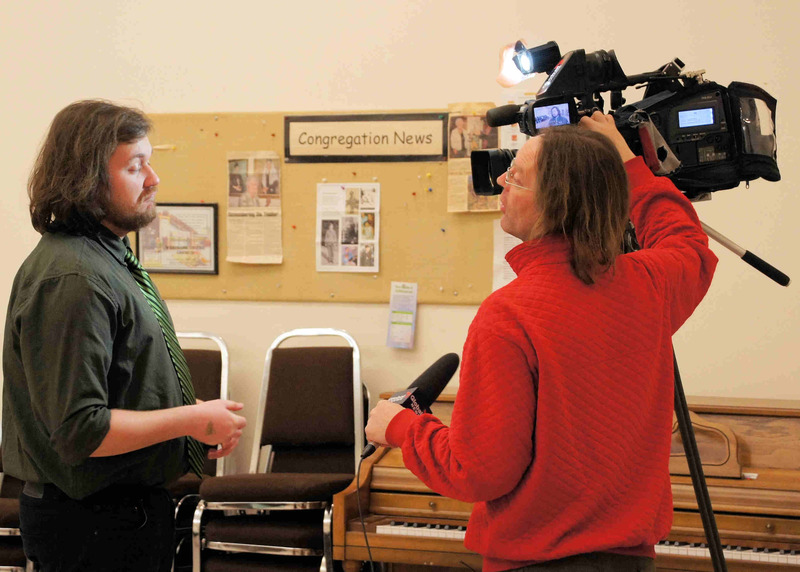 How is a square dance sequenced—do you go for a long time? gives the dancers in the square spontaneous "calls"
be used in Part 2 -- the "singing call." and eventually, to end with your original partner. that a newcomer to square dancing has to learn. The man doesn’t have to “lead” the lady in round dance. gracefully around the floor, in a large circle. and waltz, but many other steps can be learned. 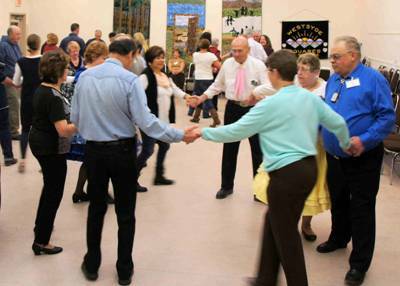 dancing often opens a typical square and round dance event. How much will it cost me to join the fun? to advertise, rent the hall, and pay the instructor. $230/person or $460/couple ($10/session per dancer). because the instruction is progressive. 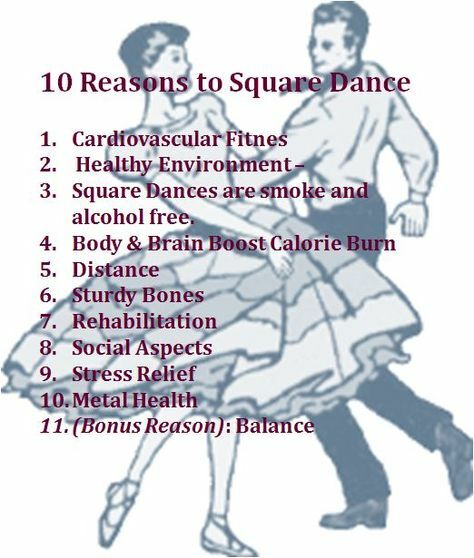 What attracts most square dancers to the recreation? the FUN and the socialization. You get to meet so many friendly people. Give today’s style of square dancing a try. be prepared to smile and laugh... lots! young instructor, Dustin McGifford of Kelowna. 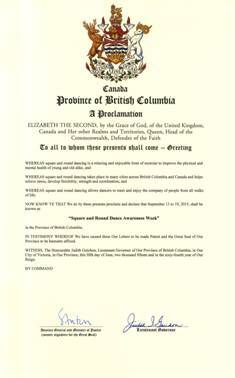 at the BC Square & Round Dance Federation website. wide availability throughout the province.